Paytm Mall Black Friday sale is now live and here we have jotted down some of the best smartphone deals available on the platform during day 1 of the sale. Paytm Mall is hosting a Black Friday sale, where the online retailer is offering a slew of deals and discounts, on a wide range of gadgets. The e-commerce platform is offering up to Rs 20,000 cash back on select products. Additionally, buyers with a Yes Bank credit card will also get to avail a 10 percent additional discount on their purchases made through the bank’s credit card. So, let's take a look at some of the best deals across the platform. The Apple iPhone X was launched in India at Rs 91,900. The smartphone is now available at a discounted price of Rs 70,989 during the Paytm Mall Black Friday sale. You can also get an additional 10% discount on this purchase by paying via a Yes bank credit card. View deal here. The Google Pixel 3's highlight is its 12.2MP main camera. It can take some great photos without a dual camera setup, utilizing the company's software for post-processing. The phone comes with a dual 8MP unit on the front. The smartphone is powered by the latest Qualcomm Snapdragon 845 processor. During the sale, you can get this device at Rs 61,849. View deal here. The Honor 9 Lite is powered by a Kirin 659 octa-core processor, which is paired with 4GB RAM and 64GB internal memory. The smartphone features a dual 13MP + 2MP dual front camera. During the sale, the phone is available at a price of Rs 11,049. View deal here. 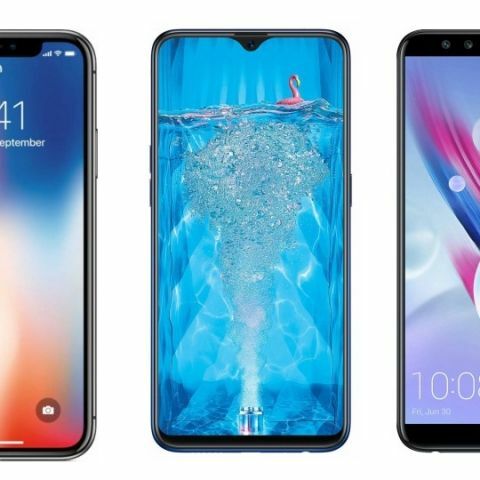 The Oppo F9 Pro features a 6.3-inch full HD display that offers a resolution of 1920 x 1080 pixels. The smartphone is powered by a MediaTek Helio P60 octa-core processor, which is paired with 4GB RAM and 64GB internal memory. View deal here. If you’re interested in picking up an Apple device under a limited budget, then this device might just fit the bill. The Apple iPhone 6S is still a pretty decent device that features a 12MP rear camera and a 5MP unit on the front. The device is available at Rs 24,192 during the sale. As mentioned earlier, buyers will also get an additional 10% discount on using Yes bank credit card. View deal here.